I posted on Thursday about my weekend project to do some spray painting. Well, though it wasn't my first experience with spray painting, it was my first experience with doing it for a home decor project...and thus really caring about the result. Speaking of the results...well, I think they turned out pretty well. I started with some pretty normal looking glass jars and vases. 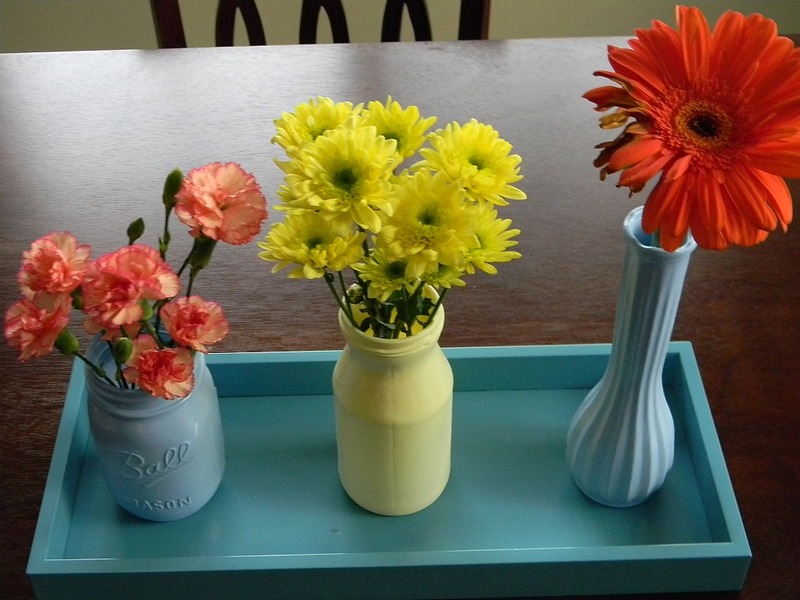 I ended up with some cute opaque-y vases and a totally I-will-actually-use-it tray. I really liked doing this project. I scored some really cute spray paint in light blue, pale yellow and teal. The lighter the color, the more coats I had to apply, and I learned a few lessons the hard way, (hello PATIENCE!!) but I want to do more stuff like this. It was even worth the spray paint fume headache I got. I'm now looking at different things in my house and wondering what they'd look like with spray paint. Might I say that I've got the spray paint fever? I feel like reading your blog is making my wallet get smaller- you always have so many good ideas I just want to run out and do/buy them! I really like the way the mason jar came out. 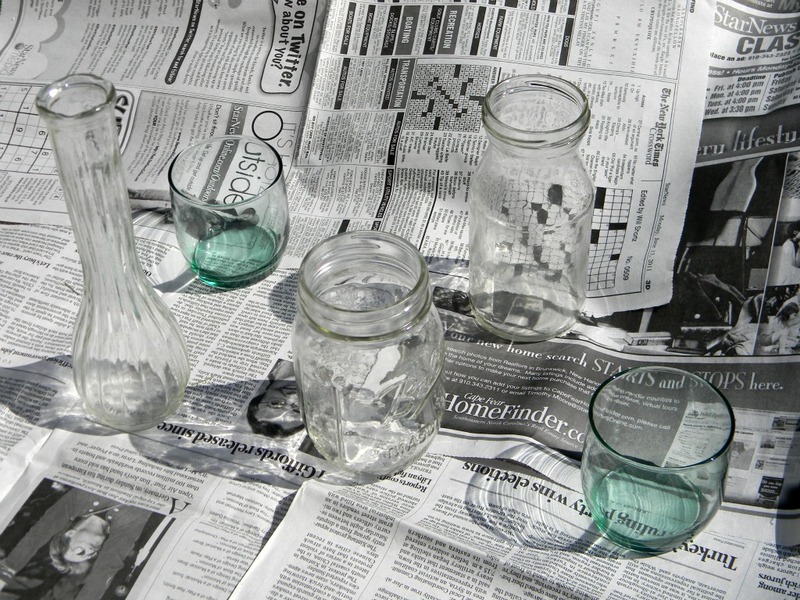 The spray paint gives the jar a really cool look. Those vases are beautiful. 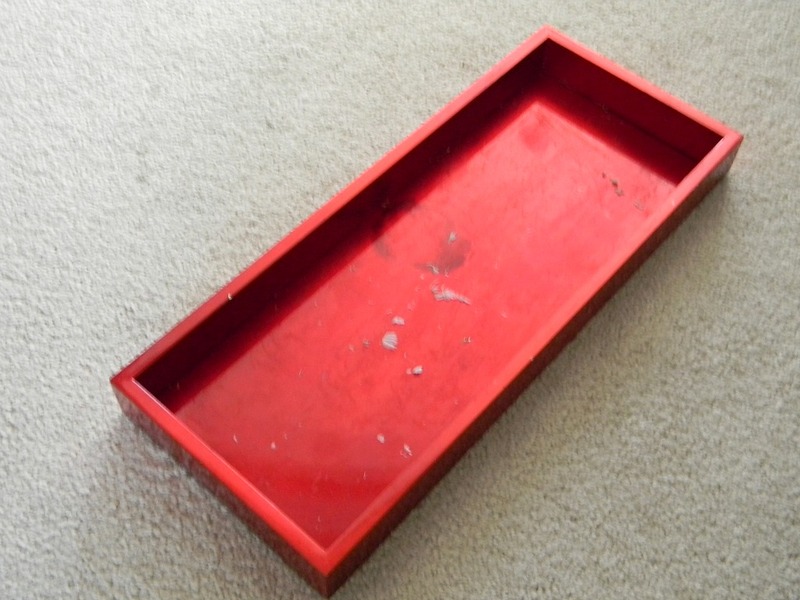 And I love the tray. 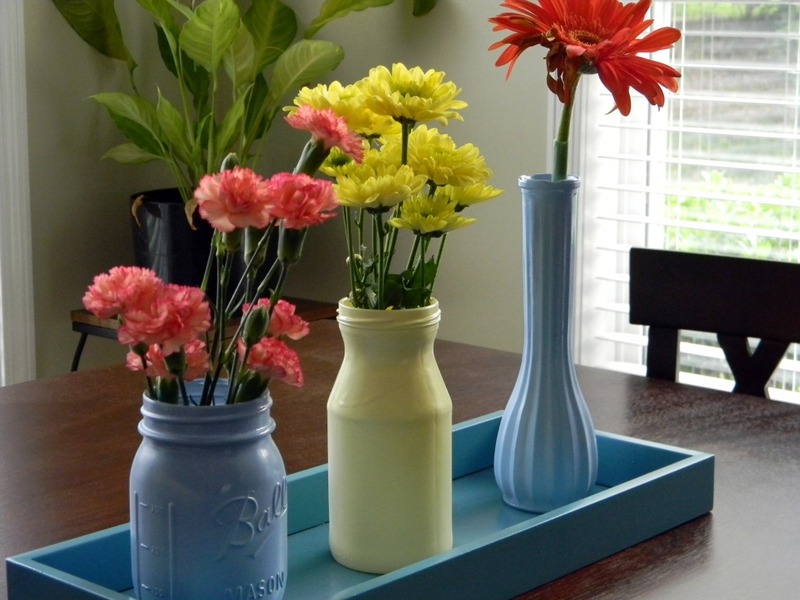 Such a cute DIY idea!